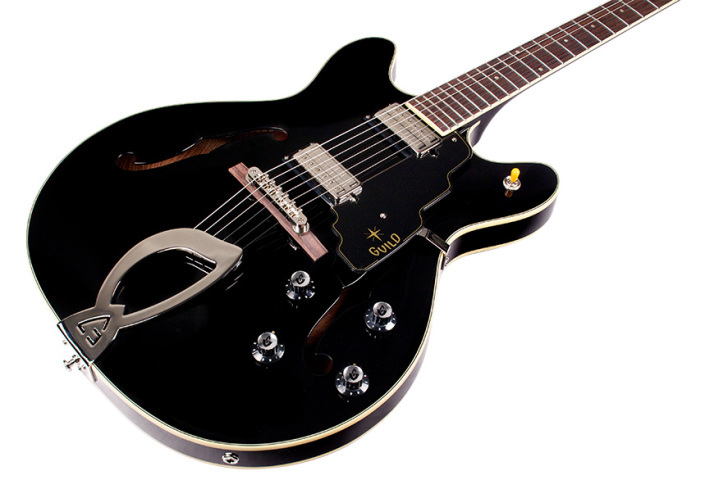 Semi-hollow body. 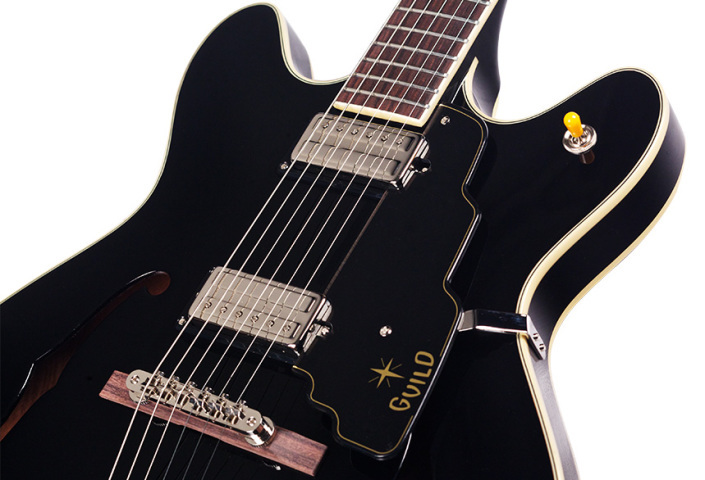 This marks the welcome return of a highly popular semi-hollow Guild classic, with a graceful double-cutaway thinline body and incomparable tone and feel. The original Starfire IV was prized by many guitarists from the mid-1960s onward as a distinctively rocking instrument, and its spirit and design pervade this new model. Other premium features include a rock-solid three-piece neck, special vintage-style LB-1 “Little Bucker” pickups and the classically brilliant Black finish. Also available in Cherry Red.